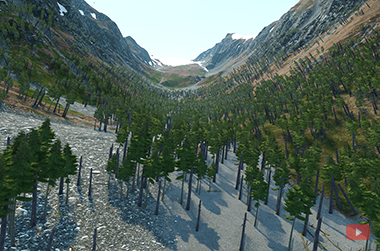 When the virtual scene contains a large number of objects, both identical and unique, managing each of them is a very complicated task. Moreover, when such objects are represented in the scene as separate meshes, the performance significantly drops. UNIGINE allows managing a great number of objects as a single object by using clusters and clutters. It simplifies a spatial tree of nodes (in the World Hierarchy, there will be one or several objects instead of thousands), thus increasing the performance. 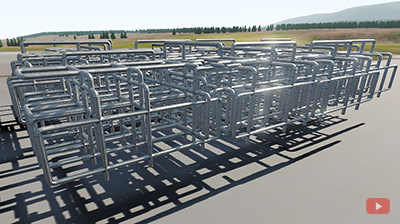 Mesh Cluster and Mesh Clutter nodes allow managing a great number of identical meshes in the world. 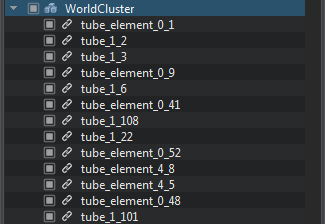 World Cluster and World Clutter nodes allow managing a great number of node references in the world. Unlike a cluster, a clutter scatters objects randomly, and, therefore, meshes/nodes of the clutter cannot be managed manually. However, procedural scattering provided by the clutter is more memory-efficient. If compared to the mesh cluster, the world cluster has less impact on performance. However, it simplifies managing of the large number of different nodes. The detailed instructions on baking meshes/nodes to the cluster can be found in the corresponding articles referenced above, as well as in the Content Optimization video tutorial. Clutters are almost the same objects as clusters. The main difference is that the clutter scatters objects randomly and doesn't allow editing each object baked into the clutter individually. However, such peculiarity makes the clutter objects more preferable from the perspective of the performance. 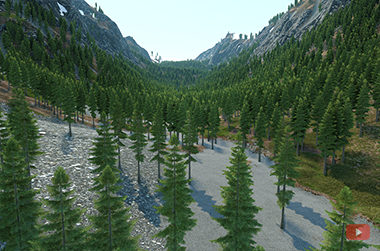 Mesh Clutter contains only identical meshes randomly scattered across the area. World Clutter contains randomly scattered node references. It means that you can bake different objects into the clutter and randomly position them. 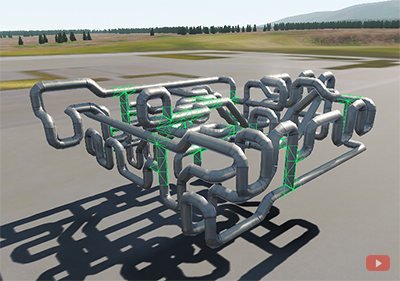 The detailed instructions on baking meshes/nodes to the clutter can be found in the corresponding articles referenced above, as well as in the Content Optimization video tutorial.